The ground floor has 53 sqm apartment overlooks the courtyard. The large windows make the rooms bright that brings the charm and the nice cut the tasteful apartment advantage. She offers. 2 bedrooms each with a double bed, open plan living-dining-living room, a terrace with small garden and an underground parking space. This apartment has 5 to 6 Sleeps and is especially suited for families with children, seniors, dog owners, business people and people with suitable handicap. The inviting living room has modern furniture, a TV / DVD and radio with CD. Books and DVDs' load times also in bad weather to browse and linger. The bathroom is fitted with a sunken shower. throughout the holiday apartment the floor is equipped with tiles and underfloor heating. A bicycle storage space is available for them. Children aged 0 to 7 years are free. Children from 7 years at the time of your trip cost 15 euros per day. Upon request, a travel cot and high chair can be provided. A small playground is located on site. When booking Please only children at the age of 7 years to specify travel. Other children traveling only report the landlord. We stayed in the apartment for a few days recently. The unit is in a safe, quiet neighborhood and offers underground parking. An elevator is available to bring up luggage. The apartment was spacious for our family (2 adults and 2 kids). There is a washing machine, but no dryer. The bathroom is spacious with good water pressure. The bed was very comfortable for us. Lindau and the Bodensee were an easy walk. A Lidl supermarket is also in walking distance. If we were to visit the area we would definitely stay here again. 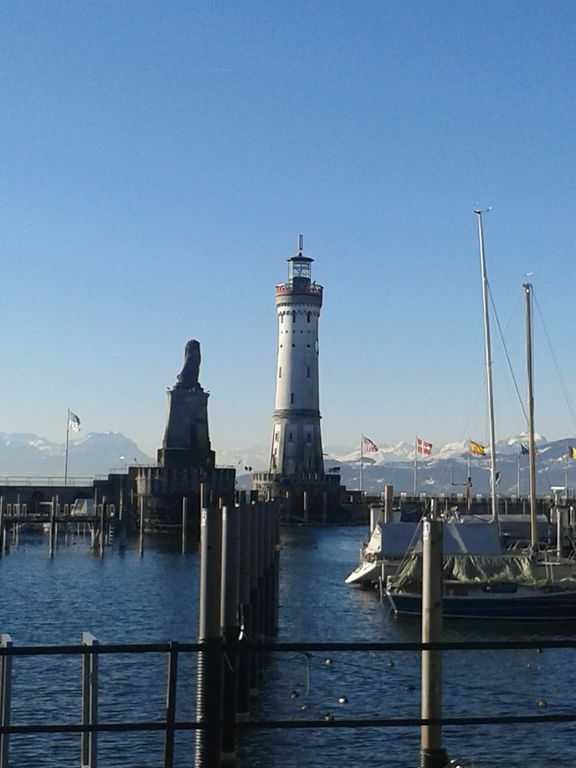 Great place to stay in Lindau, charming, very practical and well equipped. We had an outstanding welcome from Mrs Graf. She was very helpful. A very good place we highly recommend ! Sehr sauberes, sehr gut ausgestattetes Appartement, wo wir uns in den 6 Tagen, die wir hier sein durften sehr wohl gefühlt haben!